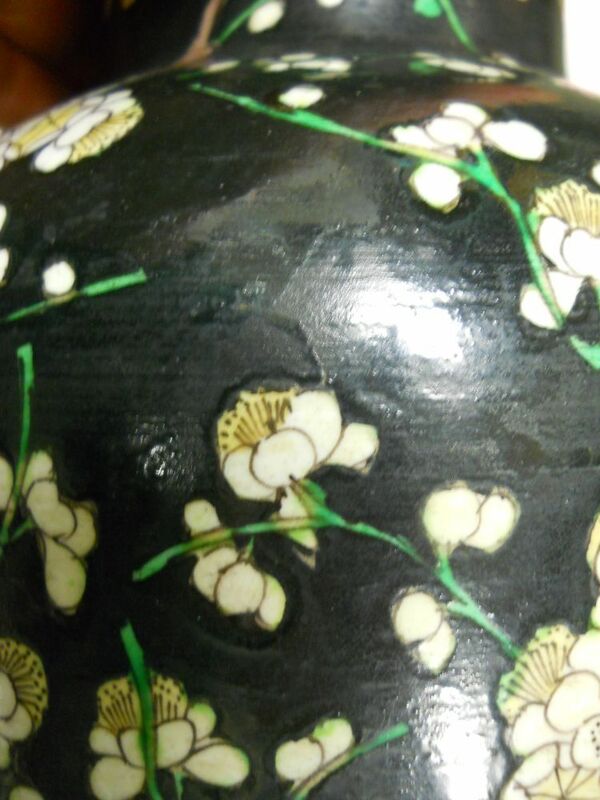 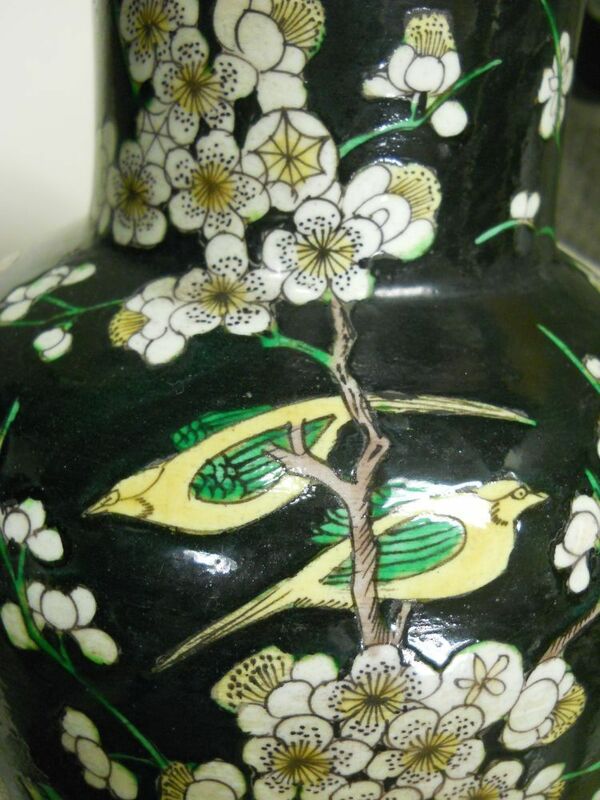 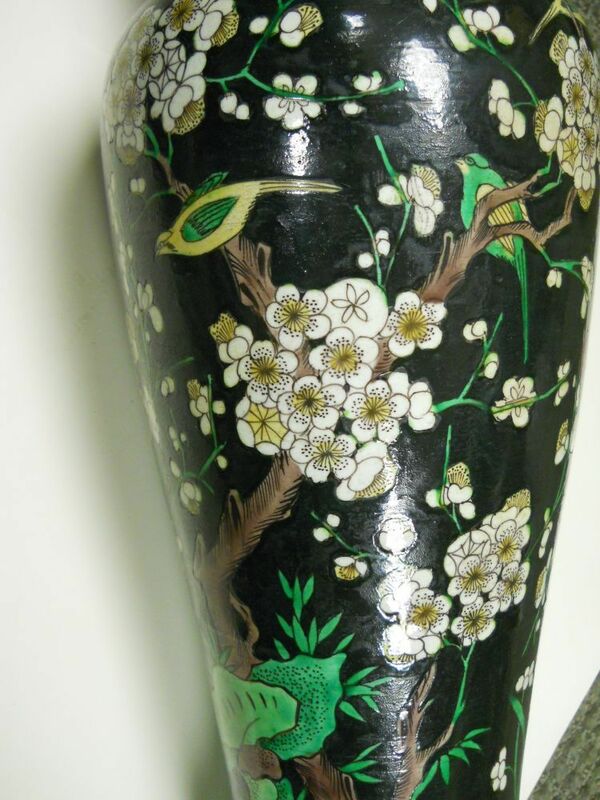 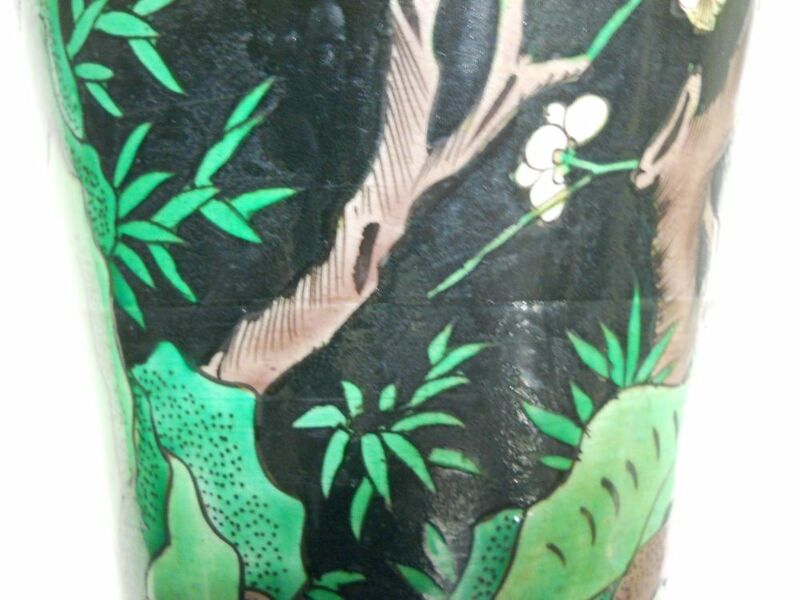 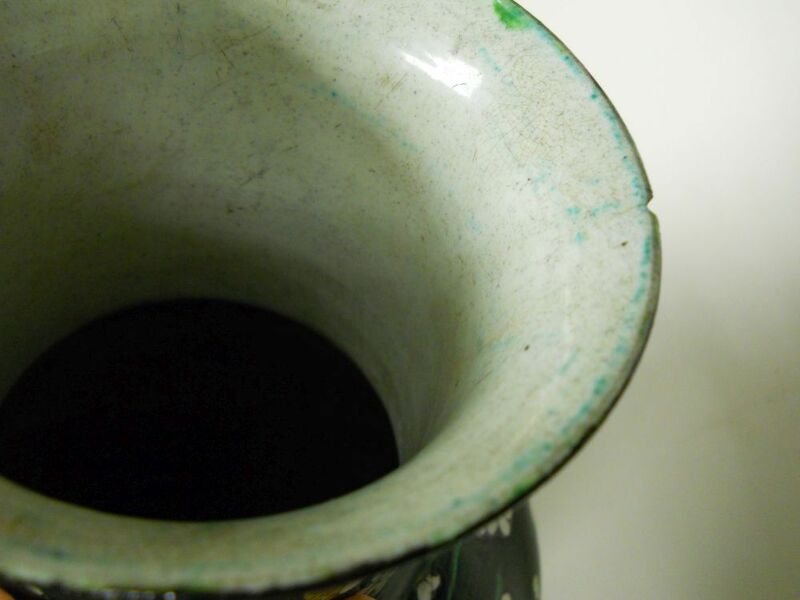 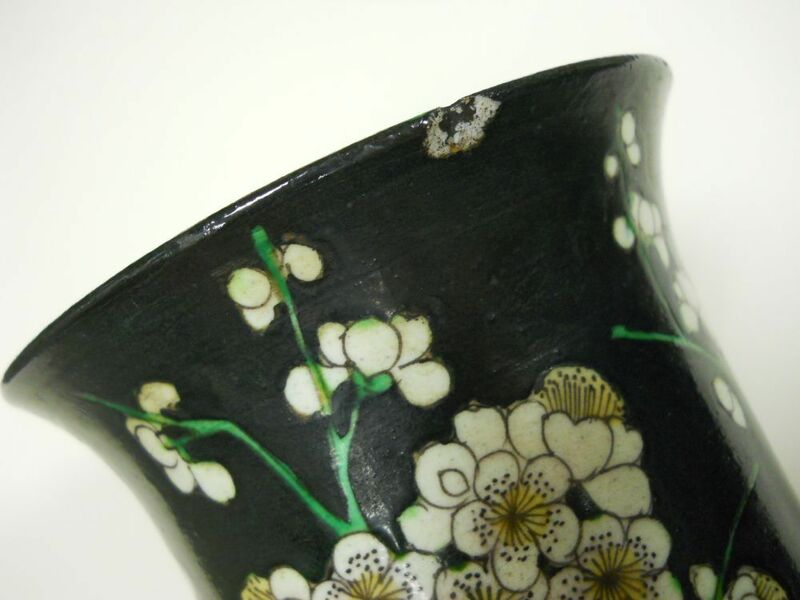 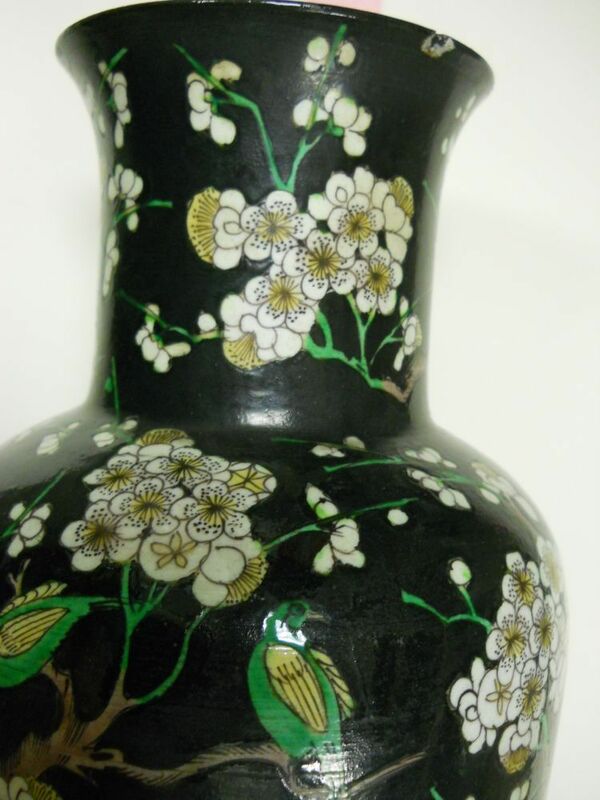 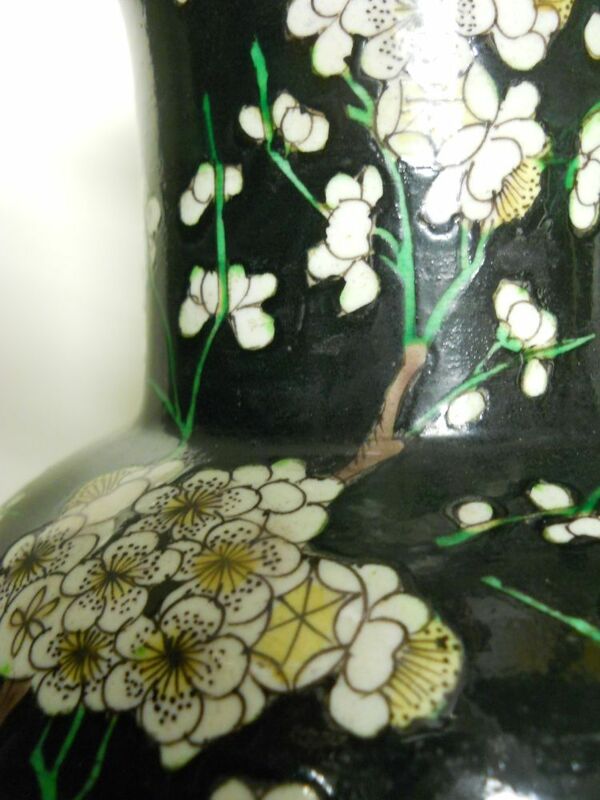 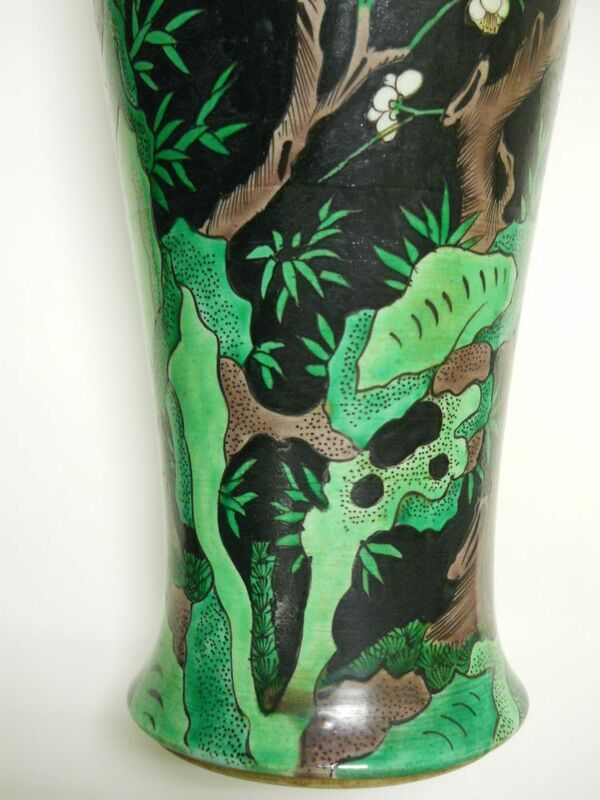 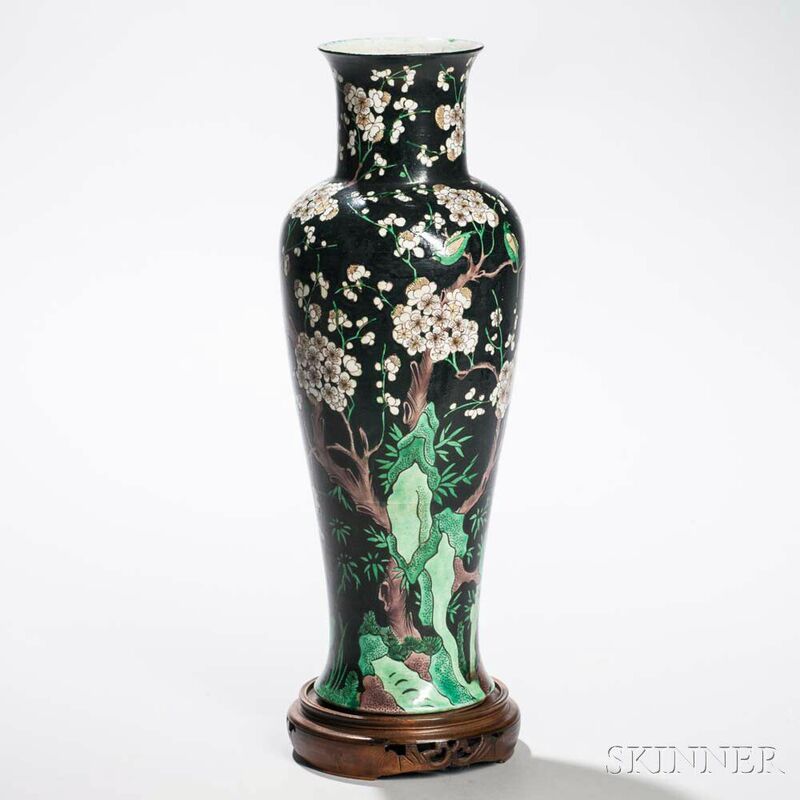 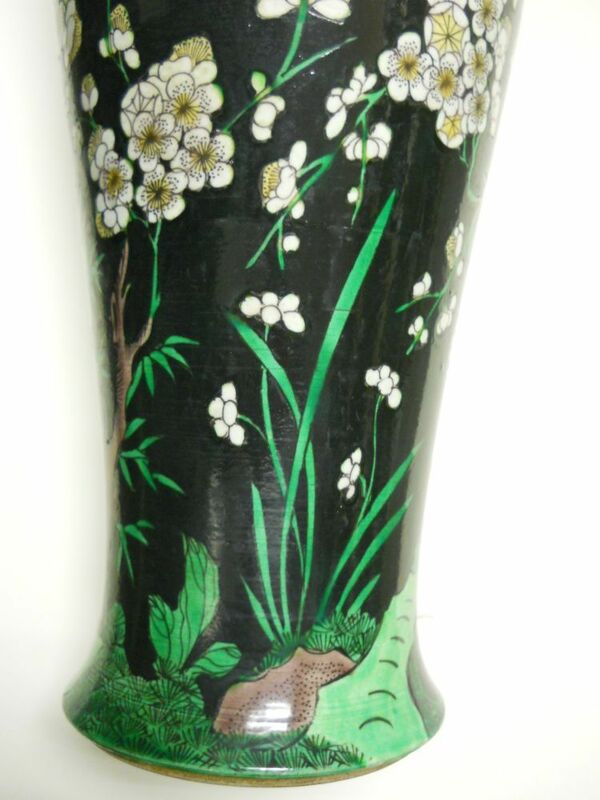 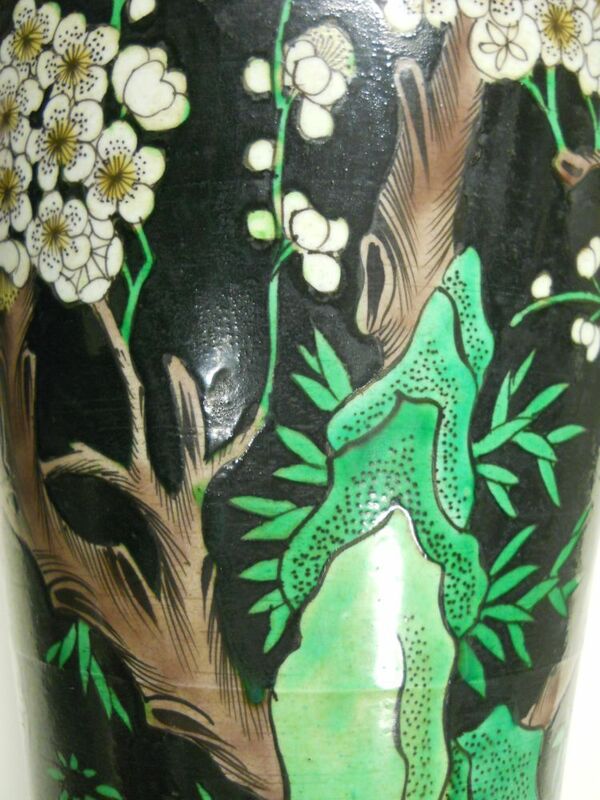 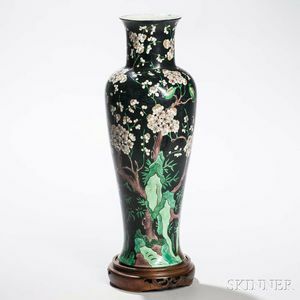 Famille Noire Vase, China, 19th/20th century, baluster-shape, with flared mouth and bottom, depicting plum blossoms with bamboo, orchids, rocks, and birds in white, green, yellow, and aubergine enamels against a black ground, ht. 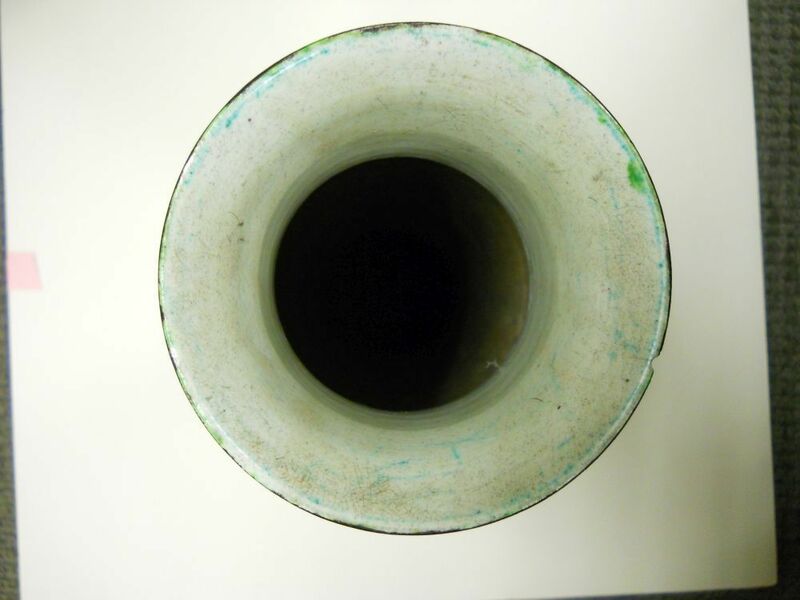 16 3/4 in. 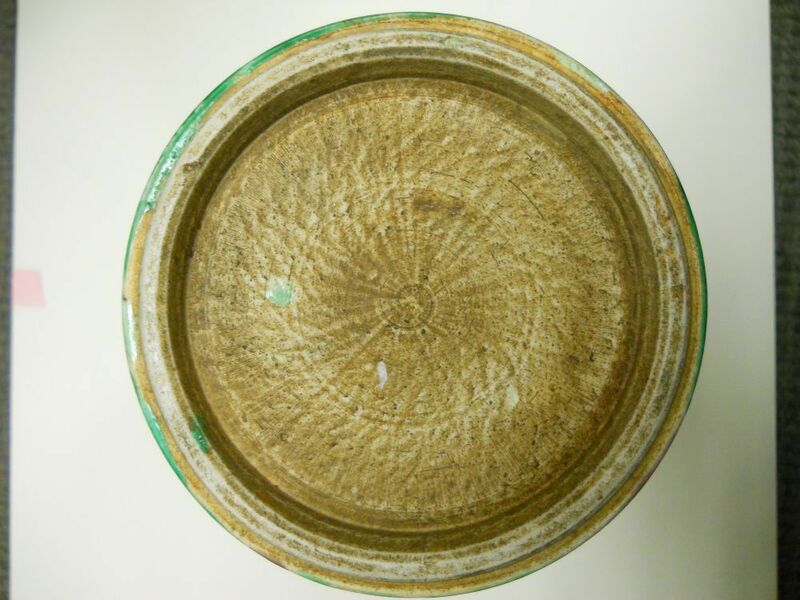 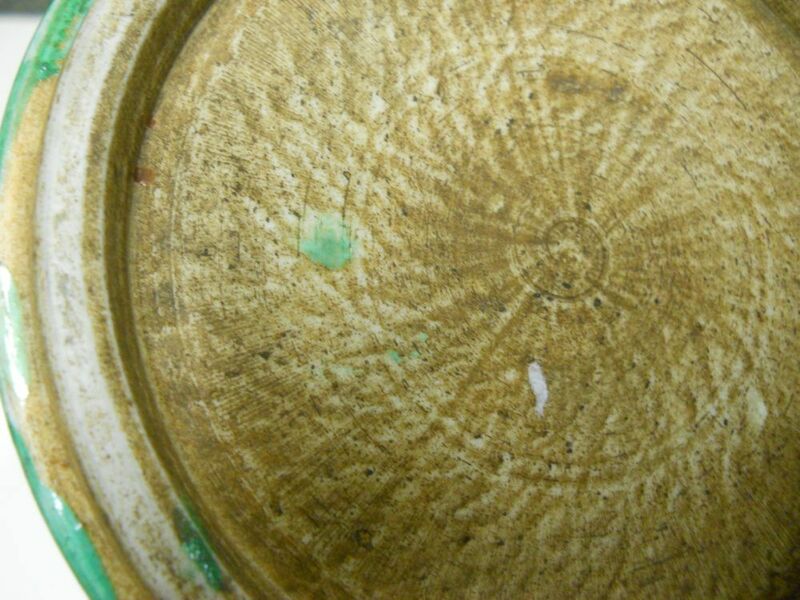 a chip to rim, minor surface dirt.